This post contains numerous spoilers and explanations of a current episode of The Crown. You may want to watch the episode before reading this article. The German word, vergangenheit, has many uses  in the German language. Its simplest meaning is “the past.” In some contexts, this can be a “time that has elapsed,” a “forgotten past,” a “past with which some have not yet come to terms,” or a “past that needs to be forgiven.” This is the word the producers and writers chose for Season 2, Episode 6 of the Netflix series, The Crown. 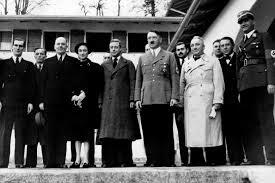 The episode opens with the uncovering of secret Nazi documents which reveal the plans and thought processes of the senior Nazi leadership and their collusion with European leaders prior to and during World War II. Most of the documents are translated and published, while the Marburg papers are labelled confidential and stored away in secret so that the embarrassing contents might never be revealed. Although most will see the story as a depiction of what to do with a former King (Edward VIII) who wants to rehabilitate his image, the interesting part of this British drama is the question of “forgiveness.” If one notices how many times the word is used in this script, they will get the sense that the discussions between the Head of the Church of England (Queen Elizabeth II) and the unofficial Head of Evangelical Christianity in America (Reverend Billy Graham) are much more than peripheral to the overall development of the episode. 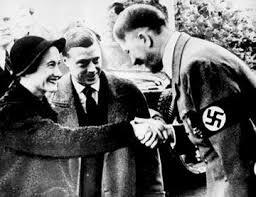 Certainly, we cannot get away from the fact that Her Majesty is wrestling with how to, and whether or not to, forgive her uncle, the former King Edward VIII (and subsequently the Duke of Windsor), for associating and conspiring with Nazi Germany in a failed attempt to recover the throne for himself and his wife who wished to be Queen. In this version of historical-fiction, the Duke of Windsor is seen as one who wanted the throne but could not have it because of the divorced woman he chose to marry. Yet, the question of forgiveness is bigger than one act of pardon or denunciation. Forgiveness here, in the context of this well-written and well-directed program, is about forgiveness in all its forms. It is about God forgiving individuals. It is about forgiving Kings. It is about forgiving oneself. The drama is played out with commentary provided by the private words spoken between The Reverend Billy Graham and Her Majesty, The Queen. Graham preaches a question and then answers it for the small audience in Windsor Chapel. The Queen praises Billy Graham, the evangelist, and says, “You speak with such clarity and certainty.… It is lovely to disappear and become just a simple Christian.” By that, she means that it felt good to be in chapel and not feel that she had to be the Head of the Church. It is at this point that the key conversation between Billy Graham and The Queen occurs. It is refreshing to see a historical-fiction from the UK tell a redeeming story of the power of forgiveness. The writers have truly challenged us to wrestle with the question of forgiveness for war-mongers, Nazis, attention-grasping former Kings, fair-minded Queens, and a good many other sinners. (Perhaps we might even wrestle with the contemporary issue of forgiveness for men who sexually assault or harass women.) In his time as an evangelist, Billy Graham made it clear that the Bible teaches that “all have sinned and fallen short of the glory of God” (Romans 3:23). Vergangenheit, the episode, asks us significant questions about how far the forgiveness of God could extend and leaves us wondering how we might “forgive others as God has forgiven us” (Matthew 6:14, 15 and Matthew 18:21-35). Oh Lord, “forgive us our sins, as we have forgiven those who sin against us.” (Matthew 6:12, New Living Translation). A well-written song will always work on my emotions. 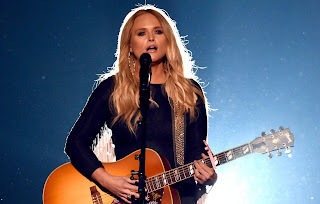 Miranda Lambert’s song “Tin Man” is one of those. It is a great concept and a simple structure with no real chorus except the ooohs. She speaks of being broken-hearted and wishing she didn’t even have a heart. Then, the final verse expresses her desire to put on armour and never have to deal with love again. A fitting song for a woman who has just experienced a very public divorce. To most of us, the idea of working for a mere two weeks and having two weeks off from work sounds appealing. But, as the song-writers say, “Nobody warned me, nobody told me I’d leave there so broken, come back so lonely.” The reality of leaving a wife and family behind to find employment in another place is a necessity for many in Canada and particularly for those who live in economically depressed areas such as Newfoundland and the Maritimes (YYG is the Charlottetown airport code). The song goes on to speak of the losses felt from being away for two weeks. Marriages and relationships with children suffer in this situation, and depression and reliance on alcohol or drugs may also contribute to the loss of money, friends, and a future. The song is one person’s haunting account of a life lived in fragments - two weeks at a time. The East Pointers is an up-and-coming band from whom we can expect to hear a lot more. The majority of their music is East-Coast Traditional Celtic fare that appeals to those with twitchy feet, who can’t wait to get up and dance. Their ballads are filled with a sense of mournfulness that will tug at the heart-strings of all. Watch for one of their shows at a venue near you. Jim Carrey the Philosopher Part 2.